The University of Exeter ran in seven tries as they thumped rivals Hartpury to take control of the BUCS Super Rugby title race. Keith Fleming’s side are 10 points clear at the top and with four league matches left to play, the domestic champions are now clear favourites to retain their domestic crown. Their superb performance in Gloucestershire was made even sweeter as second placed Cardiff Met were beaten by the University of Bath as the Archers’ title aspirations were dented. Elsewhere, Cardiff University secured back to back wins for the first time in BUCS Super Rugby as they beat Loughborough University while Nottingham Trent University remain at the foot of the table as they lost at home to a Leeds Beckett outfit who have now won their last four matches. In the Friday night fixture, Northumbria University fought back to beat Durham University as Darren Fearn's side moved into the top four of the division. Below is a full BUCS Super Rugby review plus a round-up from our selected leagues and cups across University Rugby. The University of Exeter scored seven tries in a convincing bonus-point win against rivals Hartpury as they took a huge step towards the BUCS Super Rugby league title. Tries from Will Hollis, Paul Schroter and Olly White helped Keith Fleming’s side to a 21-14 half-time lead, with Elias Caven and Max Clementson darting over for the hosts. Bliss, Pierre Thompson, Hollis and Sam Morley added second-half touchdowns, with the latter converting five scores as Exeter hammered the BUCS Super Rugby Championship holders. Alex Forrester went over late on for Hartpury, but despite an excellent try, it was too little too late for the home side. Exeter’s immense power up front and some excellent defence was key to their victory as the Green and Whites avenged their 29-0 defeat against Hartpury from back in December. Exeter are now 10 points clear at the summit of BUCS Super Rugby and all four of their remaining domestic games are at home. As for Hartpury, they now find themselves 11 points off the top with a game in hand. A massive result for Exeter who back up last weeks victory over Cardiff Met with a bonus point win away at Hartpury. University of Exeter Director of Rugby Keith Fleming: “Several of the boys out there put in a real shift. We looked for a performance and we are moving down that road. It’s good. “We are in with a chance [of winning the league.] We have got to put in a performance in every single game now right to the end to the league season. It will be down to us to make the most of it. Man of the Match Paul Schroter: “Everyone knows Hartpury hate us and we knew when we came down here, they were going to give a top performance so we are buzzing to get the win. Cardiff Met University suffered a setback in the BUCS Super Rugby title race as they were beaten by the University of Bath. A first-half try from Chris Barry, as well as a penalty from Will Partington, gave the away side an interval lead before Partington extended Bath’s lead after the restart. Replacement Harvey Scott received a yellow-card for Met, but with 14-men, the hosts brought themselves back into game as Luke Northmore crossed just before the hour. However, Bath scored their second try of the evening in the final quarter through George Wootten and another penalty from Partington was enough for Aaron James’ side to seal their first win of 2019. The defeat for Met means they are now 10 points behind league leaders Exeter following three straight losses. University of Bath Head of Rugby Aaron James told the club website: “After losing to a very good Cardiff team last week, the boys were desperate to put in a good performance this week and that’s exactly what they did. Credit must go to the reaction of the players who showed a lot of resilience and self-drive this week in training. Northumbria University continued their excellent recent form in BUCS Super Rugby by coming from behind to beat Durham University at Kingston Park. Kippa Fawcett landed an early penalty to put Durham ahead and tries from Saul Melvin-Farr and Josh Wright put the visitors in the ascendency. Confusion in the crowd but the teams are shaking hands. It’s all over. A huge win taking us to 3rd in the table! It also completes league double over Durham! ?? However, Michael Walton got one back for the home side just before half-time and two tries in quick succession from Tom Galbraith and Jamie Ross turned it around. In terrible weather conditions, Josh Bragman's penalty sealed it for Darren Fearn's men in the final five minutes. It was a fourth successive win for Northumbria and they have moved back into the top four, while Durham stay sixth. Leeds Beckett University’s recent resurgence continued with an efficient bonus-point victory over Nottingham Trent University. Three first-half scores for Beckett put the visitors 24-8 up, with Jake Farnworth replying for the home side. Kerry Wood and Colin Stephens’ side crossed on three more occasions to secure the victory while Trent could only manage two tries, one coming from JJ Broberg. A fourth victory in a row for Beckett leaves them seventh in the league standings and in a good position for a play-off spot. As for Nottingham Trent, they remain at the foot of the BUCS Super Rugby table and are six points shy of ninth placed Loughborough University. Cardiff University’s bid to finish in the top eight of BUCS Super Rugby received a major boost as Alun Wyn Davies’ side clinched a narrow win against Loughborough University. Ten points from the tee and two tries, including a score from Alex Everett, secured the victory for the Welsh side, who have now picked up successive wins to begin 2019. Cardiff moved ahead of Loughborough and into the play-off spots following this memorable triumph at Llanrumney while two scores for the Midlands club was only enough for a losing bonus-point. Durham University took another step towards the Premier North title after a solid 21-7 victory over Loughborough University. The North-East outfit are now five points clear of Northumbria University, who thrashed rivals Newcastle University 81-12. Third-placed the University of Edinburgh also picked up a win as they beat the University of Birmingham 46-5. Hartpury were unable to close the gap at the top of Premier South as their match with Swansea University was postponed, but in the fixture that did go ahead, the University of Bristol beat Oxford University 34-5 to move up to fourth in the table. Newcastle University clinched the North A title with a 17-15 win over the University of Leeds. The North East side, who lost in the BUCS Super Rugby play-off against Cardiff University last year, have secured 11 victories from their 12 matches this term and have won the league with two matches to spare. The University of Birmingham stayed second as their winning run continued against Bishop Burton (20-13), while elsewhere, Durham 2nds beat the University of Nottingham 33-20 and the University of Edinburgh and Loughborough 2nds played out a 19-19 draw. South A league leaders Hartpury 2nds began the second term of the season with an excellent 38-5 win over the University of Bristol. The University of South Wales bounced back from their defeat against Bristol to clinch a dramatic and narrow victory against Swansea University. USW are now six points behind Hartpury while fifth-placed Bath 2nds lost 34-22 against Exeter 3rds and Cardiff Met 2nds beat bottom of the table UWE 31-8. In North B, there was only one fixture this week as the University of Manchester defeated Leeds Beckett 2nds 33-22. In the only match in Midlands 1A, the University of Leicester picked up a potentially crucial 19-18 victory over Harper Adams University. Leicester are now just two points behind league leaders the University of Warwick with a game in hand. North B side the University of Glasgow are through to the quarter-finals of the BUCS Trophy after defeating the University of Liverpool 32-7 while the University of Sheffield’s journey in the cup competition also continued with a fine 49-24 victory over the University of Stirling. South B league leaders St Mary’s University also advanced into the last eight following a 36-12 win over Cardiff Met 3rds while, Exeter 3rds, Cardiff 2nds and Hartpury 3rds, who also play in South B, all progressed. Northern 1A side Manchester Met caused arguably the shock of the round as they defeated North B outfit the University of Strathclyde 31-22 at Platt Lane while the University of Aberdeen v Loughborough 3rds was postponed. The quarter-finals will be played on Wednesday 20th of February. Northern 2B sides Northumbria 2nds and Leeds 2nds are both through to the semi-finals of the Northern Conference Cup. Northumbria, who currently top Northern 2B, remain unbeaten this season after defeating Sheffield Hallam 43-31 while Leeds 2nds won 14-7 away at Lancaster University. In the other last eight ties, the University of York made it a trio of Northern 2B clubs to advance as they beat Leeds Beckett 3rds 28-14 while Northern 3A outfit, the University of Chester, comfortably defeated Bangor University 33-6. Last year’s winners, De Montfort University, caused an upset in the Midlands Conference Cup as they beat Midlands 2A side Coventry University 20-12 to advance into the semi-finals. They will be joined by Birmingham 2nds and Oxford Brookes 2nds, who beat Nottingham 2nds and Nottingham 3rds respectively while Loughborough 4ths are also through after a 37-19 win over Warwick 2nds. 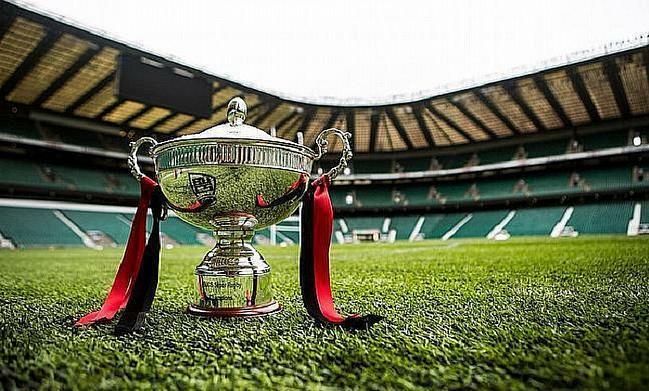 The semi-finals will take places in both Conference Cups will take place in two weeks’ time.